Pints for Prostates reaches thousands of men annually thanks to the support of the craft beer community. We'd love to have you on our team! Pints for Prostates connects with guys using a simple message: 1. Get Tested. 2. Live Longer. 3. Drink More Beer! To get the word out, our organization needs your help. We have a number of partnerships opportunities available for breweries, distributors, retailers, industry suppliers and others who want to help spread the word to men about the importance of paying attention to their health. We want to reach as many men as possible to educate them about prostate cancer . 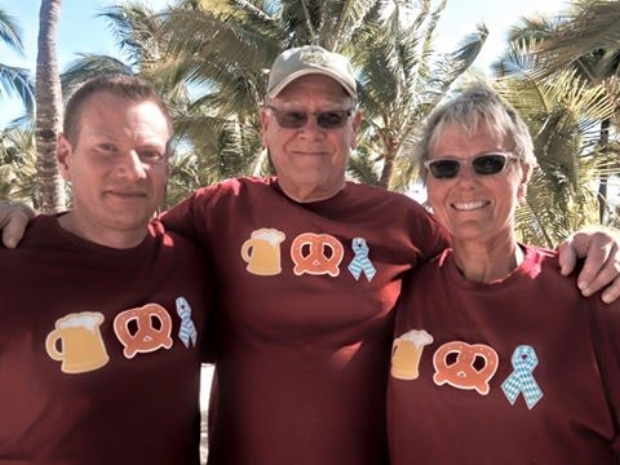 The support of partners makes it possible to educated more men, while at the same time enabling Pints for Prostates to use more of the funds raised at our events to pay for free men’s health screenings and support programs that offer information and hope to men diagnosed with the disease and their families. We actively partner with prostate cancer and health organizations because we consider collaboration in fighting this disease to be critical. Prostate cancer is a deeply personal disease. Not only does it claim the lives of nearly 27,000 American men each year, the possible side effects from treatment of the disease, including incontinence and erectile dysfunction, cause men to avoid screening and treatment. But advancements being made in the diagnosis and treatment of prostate cancer mean that men have better outcomes from treatment, especially when diagnosed early. We want men to know the facts about prostate cancer. We need the support of partners to broaden our reach and engage more men. There are a variety of ways you can support the Pints for Prostates mission and help save men’s lives. Financial support for the cause is a direct way you can make a real difference. Pints for Prostates is highly effective at leveraging donations and turning them into programs that help men. Donations to Pints for Prostates, a registered 501(c)3 charity, are tax deductible. Sponsor benefits include logo on both Oktoberfest for a Cure and Denver Rare Beer Tasting t-shirts; Full Page ad in Denver Rare Beer Tasting program; Press Release; 12 Social Media Posts; mention on Pints for Prostates website; 10 VIP Tickets to Denver Rare Beer Tasting; banner at Denver Rare Beer Tasting; booth space at Denver Rare Beer Tasting; and access to Pints for Prostates logo for approved usage. Sponsor benefits include logo on Oktoberfest for a Cure t-shirt; Half Page ad in Denver Rare Beer Tasting program; Press Release; 8 Social Media Posts; mention on Pints for Prostates website; 6 VIP Tickets to Denver Rare Beer Tasting; banner at Denver Rare Beer Tasting; and access to Pints for Prostates logo for approved usage. Sponsor benefits include banner at men’s health screening location for brewers and craft beer fans during GABF weekend in Denver; logo on Denver Rare Beer Tasting t-shirt; Press Release; 4 Social Media Posts; mention on Pints for Prostates website; 6 General Admission Tickets to Denver Rare Beer Tasting; and access to Pints for Prostates logo for approved usage. Sponsor benefits include “presented by” naming rights in all press materials; logo of Oktoberfest for a Cure and Crowns for a Cure t-shirts; Press Release; mention on Pints for Prostates website; 10 Social Media Posts; 6 VIP Tickets to Denver Rare Beer Tasting; and access to Pints for Prostates logo for approved usage. Sponsor benefits include logo on Oktoberfest for a Cure t-shirt; Press Release; 2 Social Media Posts; mention on Pints for Prostates website; and 4 General Admission Tickets to Denver Rare Beer Tasting. 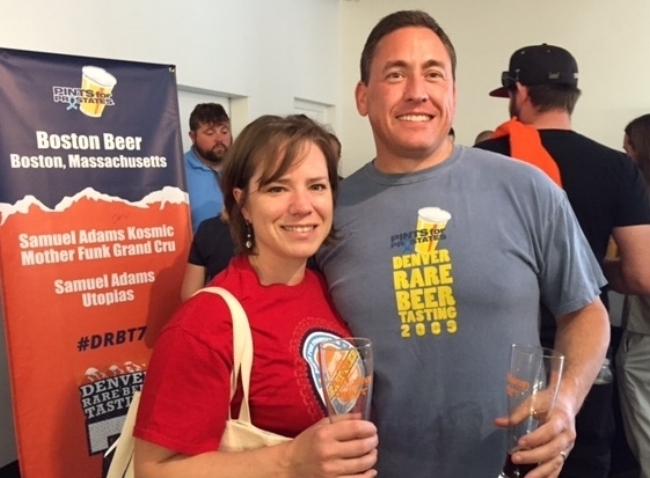 Sponsor benefits include full page ad in Denver Rare Beer Tasting program; banner at Denver Rare Beer Tasting; logo on Denver Rare Beer Tasting t-shirt; Press Release; 2 Social Media Posts; 6 VIP Tickets to Denver Rare Beer Tasting. Sponsor benefits include chance to give away pair of seats on the Pints for Prostates beer vacation; logo of Oktoberfest for a Cure t-shirt; Press Release; mention on Pints for Prostates website; 6 Social Media Posts; 4 VIP Tickets to Denver Rare Beer Tasting; and access to Pints for Prostates logo for approved usage.